I came across Seedling while hunting for some do-it-yourself craft boxes for my daughter. I often swoon at the lovely craft ideas on Pinterest, but often find it cumbersome to put materials together. That’s why I like companies like Seedling that are geared towards young mums who want to engage their kids but often don’t have the time to put craft supplies together. Joanne Wong from Minifab HongKong sent me two creative kits to review. My first choice was the “Create a dazzling Tiara”. Given that my little one (who turned four a few months ago) loves to play dress up, this was an obvious one. 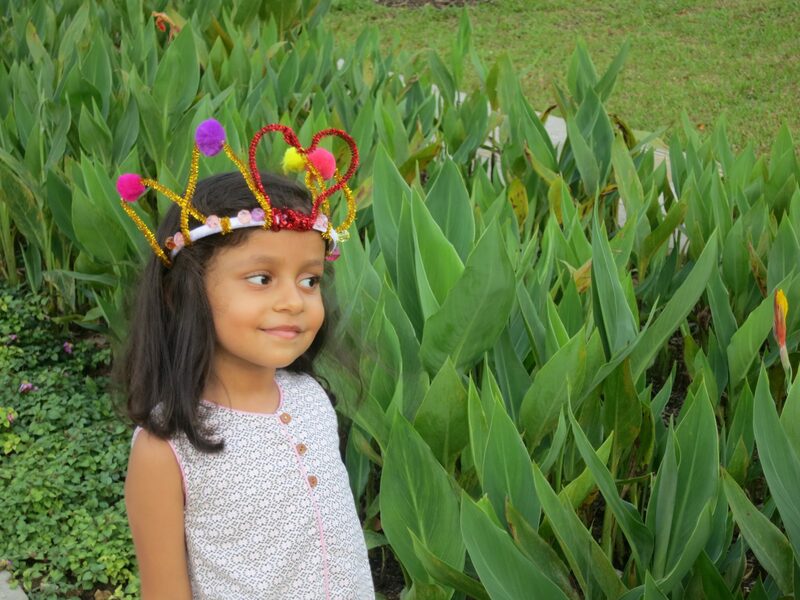 More than making the tiara, Saira waited for me to complete it, so she could wear it. I did end up crafting most of it! So here’s my take on the craft kit: I love how the materials are all put together in a box. Pipe cleaners, pom-poms and beads – everything little girls love! The beads are meant to be attached to the crown with the pipe cleaners, but we used double sided tape. The end-result is a cute little tiara, which little girls can wear for a while, until the beads fall off! My second choice was the ‘design you own bird wings’. 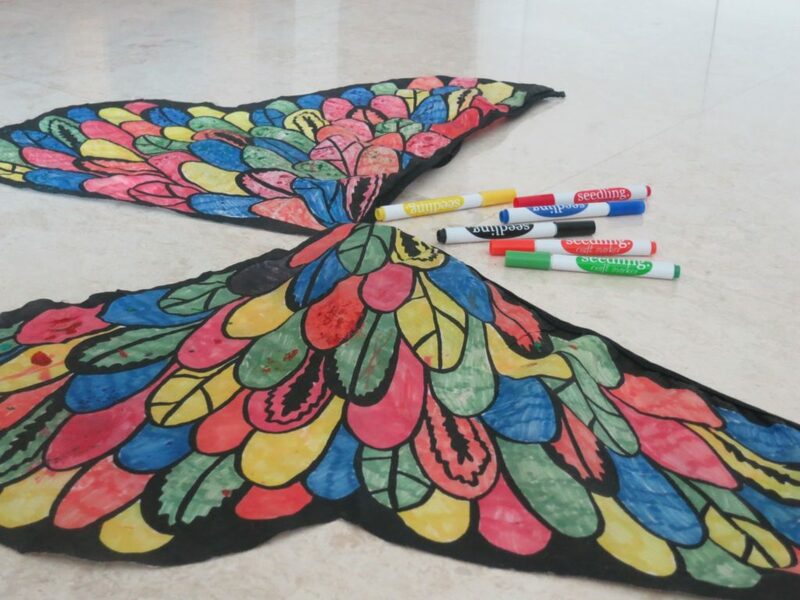 The objective of this kit is to get kids to get creative with markers and glitter glue. 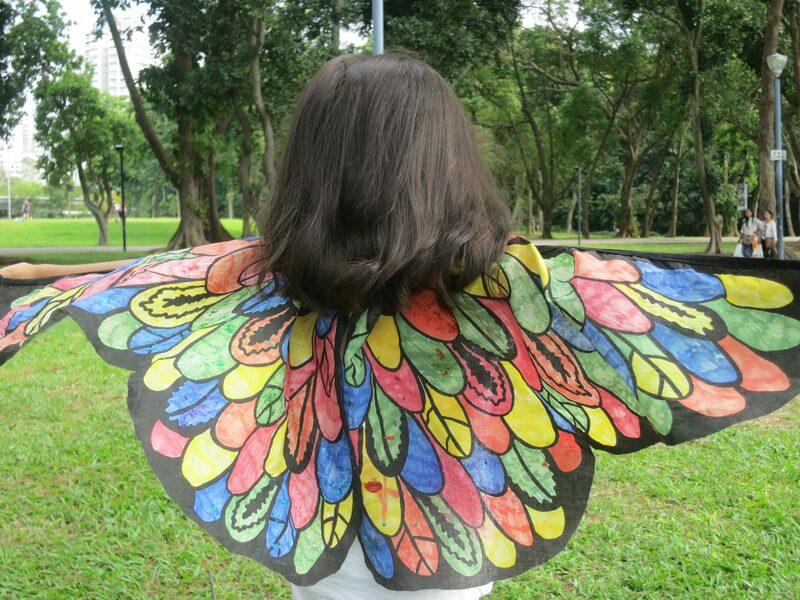 Its an interesting concept, and Saira enjoyed wearing the wings and flying around. 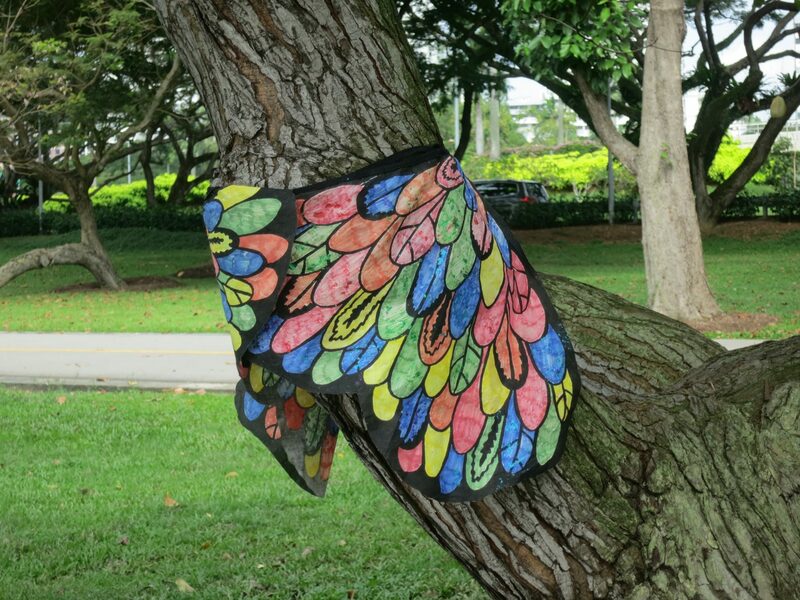 She imagined herself as a butterfly, instead of a bird! (I must admit she was a bit patient too, while I took the photographs). Kids love pretend play, and these kits are lovely as you can actually use what you have created! These kits are sold for a four-year old, but that would mean a super responsible one indeed! Honestly, I would recommend it for slightly older girls! The brand retails party favors, stickers, games and puzzles and a whole lot more too. Happy browsing!